I would highly recommend Liams services as he is very knowledgeable highly skilled and totally trustworthy. A refreshing change to have a plumber who does exactly what he says needs to be done and no hidden extras. I will have no hesitation recommending Liam to friends and family. Thank you for a job well done and a home nice and warm again. 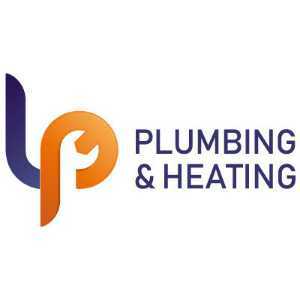 We were recommended LP Plumbing & Heating when we were looking for our boiler to be serviced. I can not find a fault with the level of service provided. Communication was excellent as was the time keeping. The level of work was great and I was very impressed with how quickly it was carried out. I wouldn't hesitate to use LP Plumbing & Heating again and would most definitely recommend. Liam was on time - did a thorough tidy job - showed me the inside of the boiler - pointed out the potential areas of risk (as its very old) agreed a time/date for next service - very nice guy can recommend for sure! If you are looking for professional, polite, helpfull, tidy, friendly, 5 star service provider, Liam is the guy you been looking for! He will answer all your questions and will suggest only the best way to sort out any of your problem! Highly recommend! Liam fitted a large vertical radiator in a new conservatory and upgraded an existing radiator. The piping to the conservatory was very neatly fed through the wall with neat plugs to finish (no hole just left with bare masonry). The piping was kept within the width of the radiator and just beneath it. This meant no long pipe run, and you can’t see the pipework unless you bend down to look. He had to cut a piece from a newly installed stud wall and cut a very neat square. Everything was measured and marked including pipe entries. All of this takes thought and a pride in the job. Had Liam out to service and safety inspect my aging boiler for letting. Extremely friendly and professional, and a top notch standard of work. I talked me through his thoughts and explained any issues I might entounter down the line. Great value with no additional charges. Would recommend to anyone. A perfect job every time, this is the second time we have used LP Plumbing and both times faultless workmanship. We knew is wasn't a straight forward job, but Liams confidence and professionalism put our minds at ease and the project was completed on time, on budget and to excellent standard. It was a real pleasure having Liam do our plumbing work. He was friendly, tidy, respectful, and professional. We are very pleased with the outcome; it's a very neat job, and it was a reasonable price. We won't hesitate to use him again, and we highly recommend him.